Lauren Godwin and Sebastian Bails are riding TikTok's wave of popularity to build their followings, but their fans aren't necessarily adoring. NORTH HOLLYWOOD, Calif. — Lauren Godwin tapped her $140 periwinkle bedazzled nails against her iPhone screen as she looked for the next viral trend to capitalize on. Next to her, Sebastian Bails, her collaborator and best friend, was also on his phone, the two of them swiping through TikTok, the wildly popular platform for short, user-generated videos like pranks and lip syncs. “We should do this as a lip-sync because it’s a really big trend,” Bails said, pointing to a video of a cover of TLC’s 1999 hit “No Scrubs,” to which dozens of users had already recorded their own videos. The pair sat side by side at the gray kitchen island of Bails’ new apartment, bright and modern and almost absent of color if it weren’t for Bails’ head-to-toe banana-yellow outfit offsetting his orange-toned, spray-tanned skin and Godwin’s purple oversized leopard print sweater and bright blue hair — outfits that would maximize the kinds of mocking taunts from viewers that help them reach an even bigger audience. It took about five minutes to shoot the 15-second video. Less than an hour after posting, the clip had racked up more than 1 million views, the kind of hit that helps to drive fans to their lucrative live streams and sponsors to their inboxes. Bails and Godwin, both 19, are the newest iteration of digital celebrities: TikTok stars. The platform has become an obsession with teens across the globe. Mobile analytics firm Apptopia estimated that TikTok had 251.2 million monthly active users as of December. Bails and Godwin are riding that wave of popularity to build their followings and cash in on an accessible kind of fame they dreamed about as children, influenced not by movies or television but by YouTube stars. Fame on TikTok is a full-time job. The money Bails makes from his TikTok videos pays for the apartment he’d just moved into a few days before in the artsy, up-and-coming neighborhood of North Hollywood. 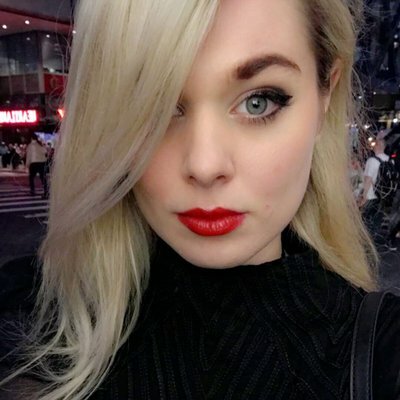 Bails and Godwin said a combination of sponsorships, YouTube revenue and donations from fans watching livestreams on TikTok have given them the financial independence to afford their Instagram-worthy lifestyle. Many people who view their content are typically making fun of them rather than aspiring to be like them. Experts warn that the psychological pressure of a millions-strong fan base on young adults can be dangerous, particularly when the relationship between creator and fan is, at best, callous. After posting the “No Scrubs” video, the comments poured in with people mocking Bails’ deeply tanned skin and questioning the relationship the two claimed to be in. To Bails and Godwin, the hate they receive on TikTok equals success. “People making fun of us keeps us employed, in a way,” Godwin said. TikTok’s popularity has soared over the last year, becoming an obsession among young social media users in the same way Snapchat dominated and shifted internet culture for teens. The app once went by the name Musical.ly until it was acquired by the Chinese tech company Bytedance in 2017 and rebranded. Bails and Godwin have been on the app since before the switch and have accrued massive fan bases, thanks to the catalog of content they’ve amassed over more than three years, but their followings have each grown quickly thanks in part to TikTok’s recent ascendance. From February to March, Bails’ fan base on TikTok grew by more than a million followers, pushing his account to almost 5 million fans on the platform. Godwin is approaching 13 million fans. But while fame on most apps comes from a sense of cool or desirability, like models on Instagram or influencers on YouTube, Bails and Godwin are cashing in on cringe — a form of digital schadenfreude that thrives on TikTok. Cringy content has been around since the dawn of viral videos on the internet, from “Chocolate Rain” to the “Star Wars” kid, but the second-hand awkwardness derived from these videos is full throttle on TikTok. On YouTube, videos titled “Ultimate TikTok Cringe Compilation” and “10 minutes of TikTok cringe” have millions of views. “We’re considered the two most cringiest people on the app so we thought, like, what better way than to make a duo out of it and embrace the cringe,” Godwin said of her collaboration with Bails. In the age of engagement, in which the internet has put a premium on anything that can elicit a response, cringe works, particularly on TikTok. The comments sections of the videos Bails and Godwin post are filled with a variety of vitriol followed by fans rushing to their defense. Bails has even become the source of inspiration for creators on other platforms, with one YouTube video threatening to “expose” him (it actually just mocks his content). That video alone has more than a million views. Bails and Godwin are fully leaning into their roles as cringey TikTok stars. In the morning, Bails spends up to two hours doing his makeup in preparation for four to eight hours of filming each day. He covers his face with orange-toned foundation before contouring and blending his face. He finishes up with thick, overdrawn eyebrows. That makeup has become an integral part of his brand. His skin has turned his online identity into a meme, which he says he’s embraced though he admits hateful comments sometimes get to him. But he’s well aware that the abuse he’s received has also played a part in his success. Becoming a meme can be a point of pride for TikTok stars, and being mocked or made fun of is a key part of TikTok’s playbook for success. If people are mocking content, they’re usually sharing it, which leads to more exposure on the app and beyond. Madeline Budd, 16, who has been on and off the app for years, considers herself a TikTok meme. Several months ago, a video of a dance she posted went viral, and other users began adding on to her video, called a “duet” on TikTok, whether in earnest or jest, causing views to soar. TikTok users say one reason the app is so conducive to viral fame is the ability of other users to build off existing trends while finding ways to make them feel new. Not all TikTok stars want to be a meme or earn their fame from cringey content. Gilmher Croes, 25, dreamed of becoming the next Jim Carrey, but living in Aruba, he said he had no way of getting to Hollywood to make his dreams come true. So he started making comedy on TikTok, imitating Carrey’s elastic facial expressions and goofy persona, earning more than 17.8 million fans. TikTok users like Bails and Godwin have used negative attention to build their channels, but the hate can still take a toll on them. In Bails’ first viral video, he was lip syncing the song “L-O-V-E” sung by Nat King Cole, a classic he knew from the Lindsay Lohan film “The Parent Trap.” He said not only were people making fun of his looks, but they were specifically homing in on the size of his lips, calling them small and thin. He went on to get lip injections, he said, even making the procedure the subject of a YouTube video on his channel. “It can drive you to do some crazy stuff,” Bails said of the hate comments. Apps like YouTube, Instagram and TikTok have enabled young adults, teens and children to find viral fame without the help of adults or professional managers to mitigate hateful responses. Yalda T. Uhls, founder and executive director of the Center for Scholars & Storytellers at the University of California, Los Angeles, specializes in how media affects youth. She said young people all have different responses to viral fame. “If they’re driven to go viral for fame and notoriety and attention, certainly it’s going to make them really happy, but they really don’t have the life experience to understand what this means and how it’s going to affect them long term,” Uhls said. As more young people go viral on apps like TikTok, it’s imperative for adults to help teens and children navigate the ups and downs of fame, Uhls said. “Kids can build their own careers but there’s nothing around them to support them, so they have to have an adult or few caring adults to help them through the process,” Uhls said, adding that teens and their families often have the added burden of navigating whether an adult has their best interest at heart or is out to use a viral star for their own financial gain. Hate comments aside, Bails and Godwin say the hardest part of their day is usually coming up with new and creative ideas for content. They make and post an average of two to three videos on TikTok each day and typically will do a live broadcast with their fans in the afternoon or evening. They also find time to film and edit at least one video each week for their respective YouTube channels. Standing in Bails’ vacant living room, the pair discussed old videos, including a successful series they posted recently in which Godwin dressed in Bails’ heavy, orange makeup. 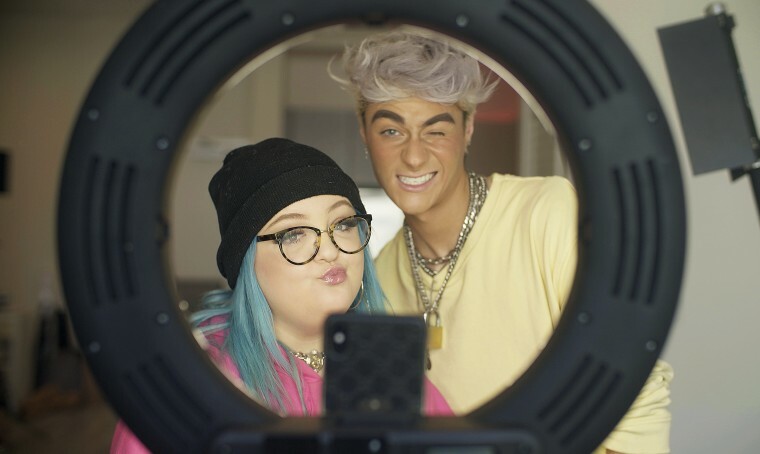 After filming their videos in the morning, Bails and Godwin often spend several hours a day using the broadcast feature on TikTok, which gives them the ability to livestream and interact with their fans. One function of those streams is that fans can give them money, and this is where Godwin and Bails say the majority of their income comes from. Companies have also hired them to advertise products in their videos. Bails’ mother, Nicole, said she pays her son’s phone bill, but other than that, he has earned his living completely on social media. Tyler Farnsworth, managing director of August United, an influencer marketing agency, said a range of metrics goes into deciding how much to pay a TikTok creator with a large following. Because TikTok is fairly new and has kept its data mostly private, the price an advertiser is willing to pay is lower than on platform with a wealth of data like Instagram or YouTube. Still, Farnsworth said that someone with approximately 5 million followers could probably make $5,000 to $8,000 for a sponsored post. Bails and Godwin declined to specify just how much they make on social media. Both said they don’t think TikTok will be around forever, so they work on cultivating their fan bases to follow them into whatever endeavor they choose next. For now, they continue making cringy content their fans and haters have come to expect. By the early afternoon, the pair was preparing for their final video of the day — an egg prank. Godwin snuggled beneath the gray comforter of Bails’ bed, still just a mattress on the floor. With her electric blue hair in a ponytail and her fake eyelashes stored in the bathroom, she pretended to sleep while Bails snuck into the room and placed an egg in her outstretched hand. Bails recorded with his phone in one hand while tickling Godwin’s nose with an almost awkwardly large plastic plant with the other. Godwin then slapped the egg into her face, rocketing bright-yellow yolk across Bails’ pristine bedding.